SEOUL, Feb. 6 (Yonhap) -- As the United States and North Korea have set the date and location for their second summit, expectations are growing that inter-Korean exchanges could gain traction after a prolonged lull caused by slower-than-expected progress in denuclearization talks. Though things still depend on the outcome of the summit that is weeks away, anticipations are also rising that it could pave the way for North Korean leader Kim Jong-un's promised visit to Seoul in the near future, which would portend deeper reconciliation and brisker cross-border cooperation going forward. On Tuesday (Washington time), U.S. President Donald Trump announced in his State of the Union speech that he will meet North Korean leader Kim Jong-un on Feb. 27-28 in Vietnam for their second summit talks. He did not say which city will play host to the high-stakes summit. Trump and Kim met in Singapore last June for their first-ever meeting at which they agreed to complete denuclearization of the Korean Peninsula in exchange for security guarantees for Pyongyang. Progress has been slow with Pyongyang seeking sanctions relief in return for steps it has taken since the June summit, such as dismantling a major nuclear and missile test site, and Washington demanding more concrete denuclearization measures. The upcoming second Trump-Kim summit will likely focus on detailed steps Pyongyang could take and corresponding measures Washington could provide in what could be a long denuclearization process. "Much work remains to be done, but my relationship with Kim Jong-un is a good one," Trump said. "Chairman Kim and I will meet again on February 27 and 28 in Vietnam," he said. Full-swing exchanges between the two Koreas have been stymied amid worries over slower-than-expected progress in denuclearization talks and the U.S.'s firm stance on keeping sanctions in place until the North completely gives up its nuclear and missile ambitions. Wary of violations of tightly-woven nets of sanctions against Pyongyang, Seoul has been reluctant to step into full-blown cross-border cooperation despite their leaders' promise to step up cooperation during their three summits last year. The project of connecting railways and roads over their borders might be the prime example as it has been in a standstill, with only a symbolic groundbreaking ceremony held late last year and no actual construction launched. No headway has been made either in resuming the operations of the Kaesong industrial park and the tour program to Mount Kumgang -- two major inter-Korean projects that have been suspended for years. In their September summit, the leaders of the two Koreas pledged to "normalize" the two projects. In his New Year Day's address, North Korean leader Kim demanded resumptions of the two projects "without preconditions." Businesspeople's requests to travel to Kaesong, where they once operated factories, have been repeatedly denied due to Seoul's concerns that its approval could send signals that Seoul might be pushing for its resumption despite existing sanctions. The operation of the Kaesong industrial park came to a halt in February 2016 after North Korea carried out nuclear and missile tests. The tour program to Mount Kumgang was suspended in 2008 after a South Korean tourist was killed by a North Korean guard. Sanctions-linked worries have spilled over even into what appears to be pure assistance for the impoverished North Korean people. South Korea's push to provide antiviral medication to North Korea has not been carried out for months and its US$8 million humanitarian assistance plan for the northern neighbor has been on hold for more than a year. The North has made near daily demands for Seoul's actions not to be dictated by the U.S. in its push for inter-Korean cooperative projects, adding that they would be conducive to stability and prosperity on the Korean Peninsula. Kim Yong-hyun, a professor at Seoul-based Dongguk University, voiced hope that the two major suspended inter-Korean projects might get sanctions relief from Washington, depending on the outcome of the second U.S.-North Korea summit. 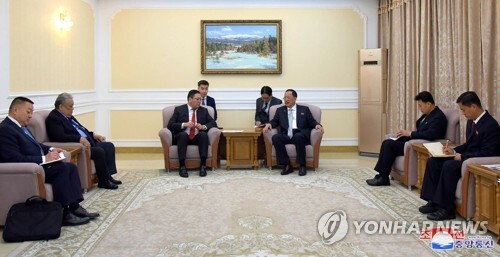 "There might not be not as much sanctions relief as what the North has demanded, but it is likely that Washington could provide sanctions exemptions for the Kaesong industrial park and the Mount Kumgang tour program," he said. Stephen Biegun, U.S. representative for North Korea, hinted during a recent college lecture that withholding support for inter-Korean projects is a major tool to force the North to abandon its nuclear and missile programs. 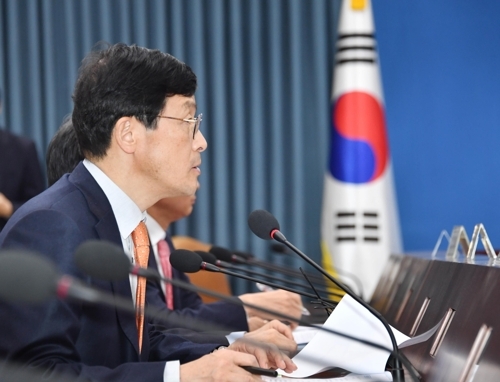 "Dozens of inter-Korean projects have been undertaken, including people-to-people exchanges, humanitarian assistance, and major surveys of peninsular rail and road infrastructure that both advance and tantalize the potential for economic cooperation that would flow from denuclearization, the lifting of sanctions, and the establishment of a lasting peace on the Korean Peninsula," he said. Earlier Wednesday, Biegun headed for Pyongyang for working-level talks to fine-tune details for the forthcoming second summit. A successful second summit between Trump and Kim could pave the way for Kim's trip to Seoul. Kim agreed to visit Seoul at an early date to reciprocate Moon's trip to Pyongyang for their third summit in September. 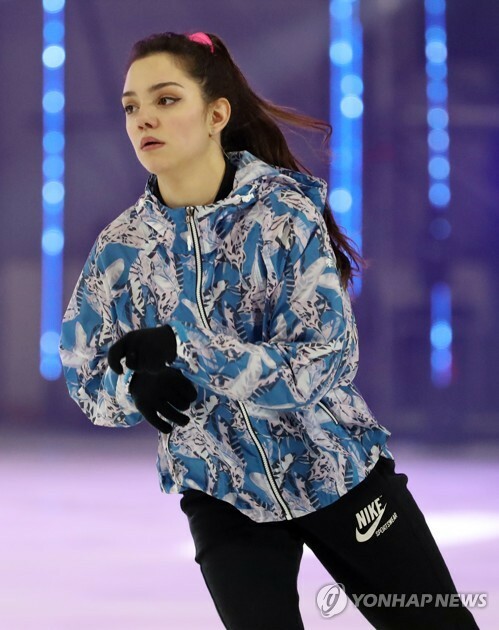 Kim was highly speculated to visit the South Korean capital before the end of 2018 but the trip did not take place. 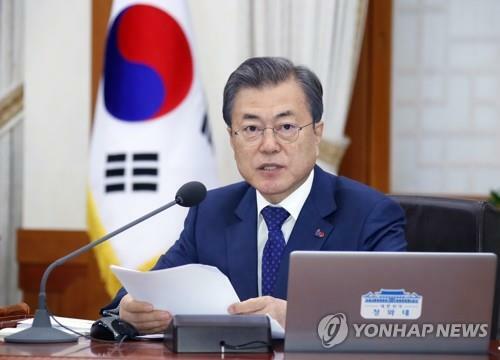 He, instead, sent a personal letter in late December to President Moon in which he expressed disappointment for not making his promised trip to Seoul by year's end but emphasized a strong willingness to honor the promise while closely watching relevant situations. 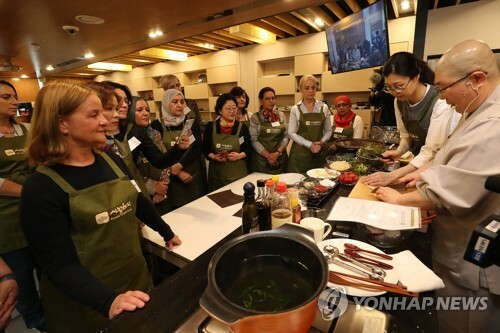 Speaking to the nation last month, Moon said Kim's journey to Seoul would have significance in inter-Korean relations in and of itself given that it would be the first of its kind. Critics, however, remained cautious against drawing a rosy picture. They said sanctions are unlikely to be lifted anytime soon as Washington remains firm against it, there have been no telltale signs that Pyongyang is willing to take more proactive denuclearization steps that warrant such quid pro quo. "What is important here is whether the U.S. will show flexibility in terms of sanctions. In addition, the North has not shown a willingness to negotiate with such a card as a formal end to the Korean War on the table," said Woo Jung-yeop, a researcher at the Sejong Institute, a private think tank. "It appears that the U.S. is ready to compromise on the end-of-war declaration but it is still doubtful whether North Korea will take steps that would satisfy what the U.S. wants," he added. If that is the case, he said that it would bode ill for inter-Korean exchanges and eventually make it hard for North Korean leader Kim to decide on his travel to the South, a "precious card" he would like to save for better timing.